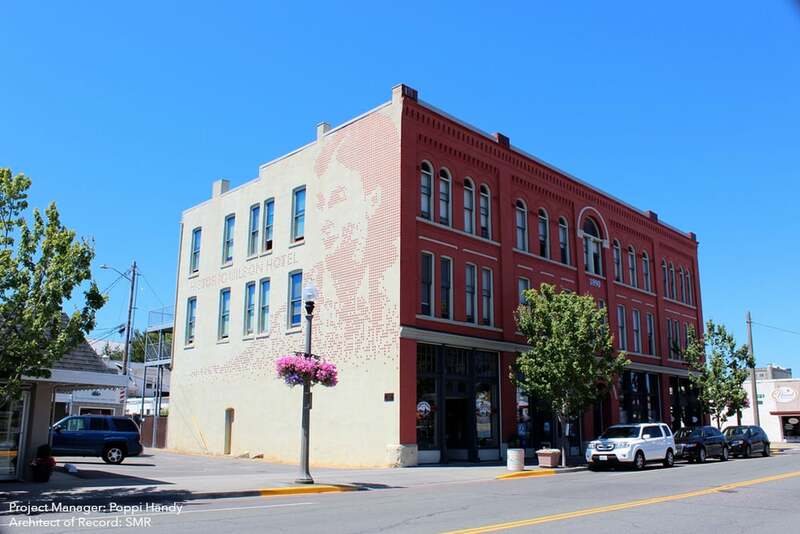 Serving the Community: A true catalyst for change, The Wilson Hotel serves as the anchor to the revitalized commercial core of Historic Downtown Anacortes. On the National Register of Historic Places, the Wilson Hotel successfully adhered to the Secretary of Interior Standards for Rehabilitation. It was the first of its kind in the city, and the rehabilitation effort triggered a series of renewal projects that reenergized this small town’s Main Street corridor. Finding Solutions: All of the original wood windows were in poor condition and needed to be carefully salvaged and rebuilt. The solution involved enlisting a team of local artisan shipbuilders to painstakingly strip and rehabilitate each of the windows on-site, including the delicate reconstruction of the large divided lite semi-circular feature window. Unique Features: The building program provides 25 units of low-income permanent housing, 5 ground floor commercial spaces, and a private outdoor garden and p-patch for residents to grow food. Role: Poppi Handy served as Project Manager while at SMR Architects.